SHOPPER BUS: Operates 6.50AM TO 11.00PM daily. We service to and from all major Hotels and Motels; Airport; Sunshine Bay; Fernhill; Frankton; Remarkables Park Shopping Centre and downtown Queenstown. 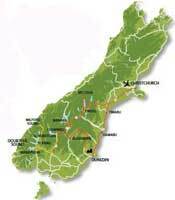 Budget travel options for the South Island. Covering the West Coast Daily.